￼13 Mar 15. 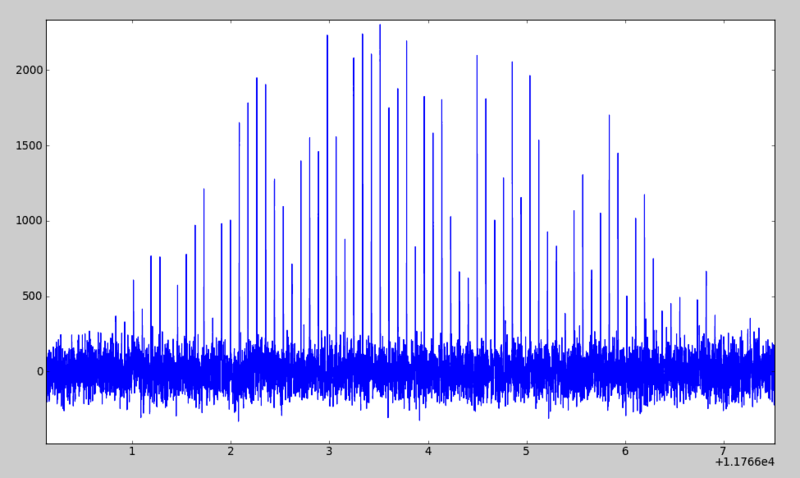 First single beam on sky and writing to a filter bank files. 12 hours on sky at DEC=-45. 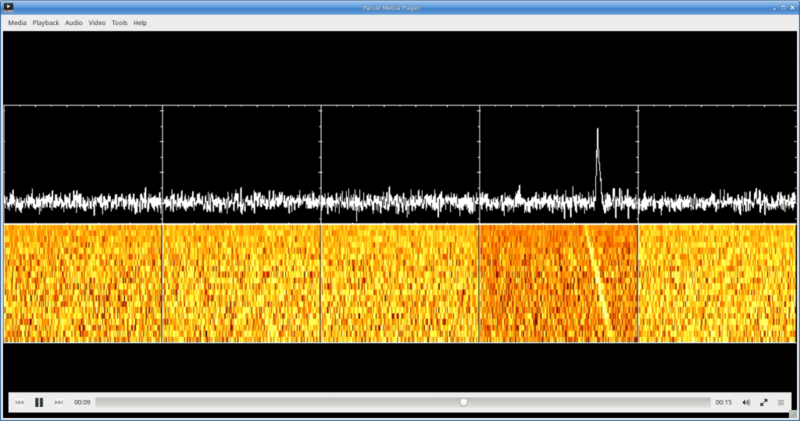 This section shows individual pulses from Vela as it passes through the transit point over a period of about 8 seconds. 13 Mar 15. 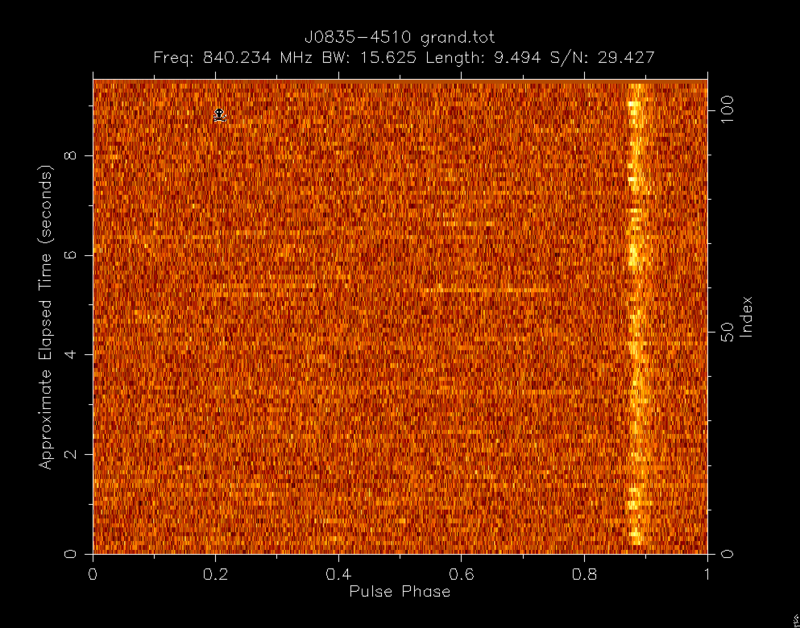 Our brightest single Vela pulse so far – from 88 antenna tied array beam. SNR of 66! Example phone calls from two handsets at once. Vodafone is the one on the left, Telstra on the right. Pulsar crossing through the inner 3 of 5 consecutive fan beams on the sky. Credit: Andrew Jameson. 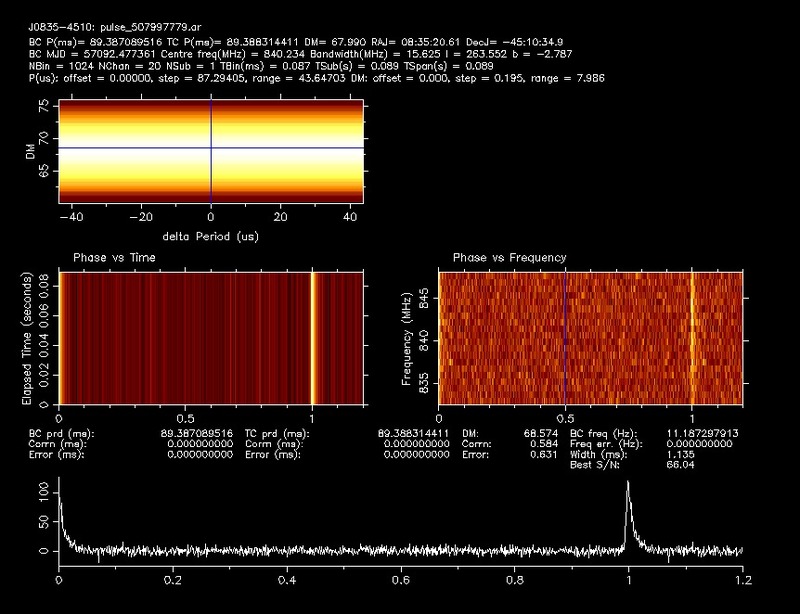 Vela transiting through 5 narrow fanbeams in the primary beam Individual pulses in the fanbeams. Link to video. Fornax A: 9 hr of data, of which most was usable. 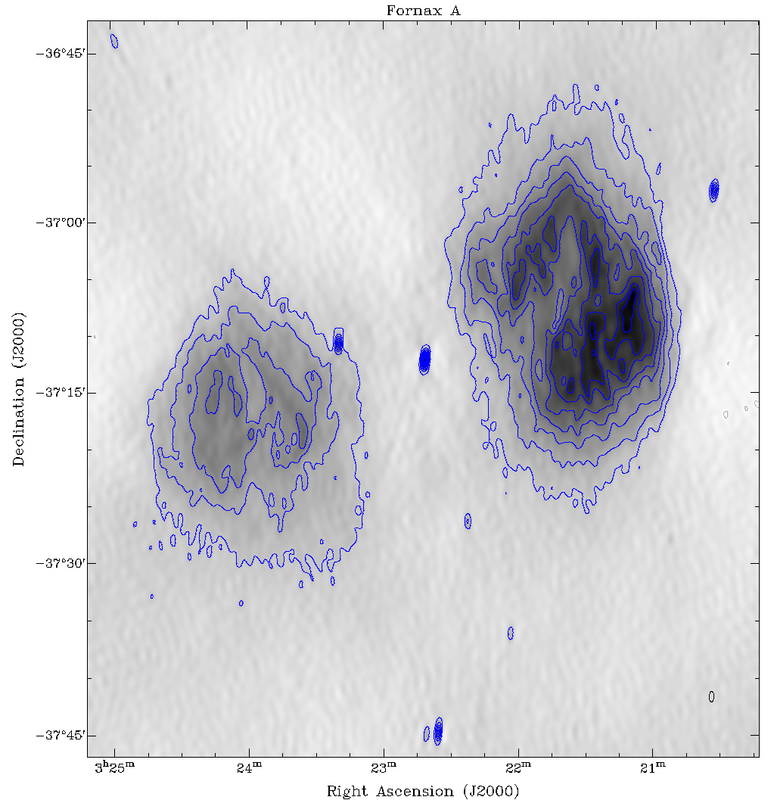 We observed a nearby calibrator every two hours. Image noise ~ 5 mJy, and contour levels are at -25, 25, 50, 75 … mJy. 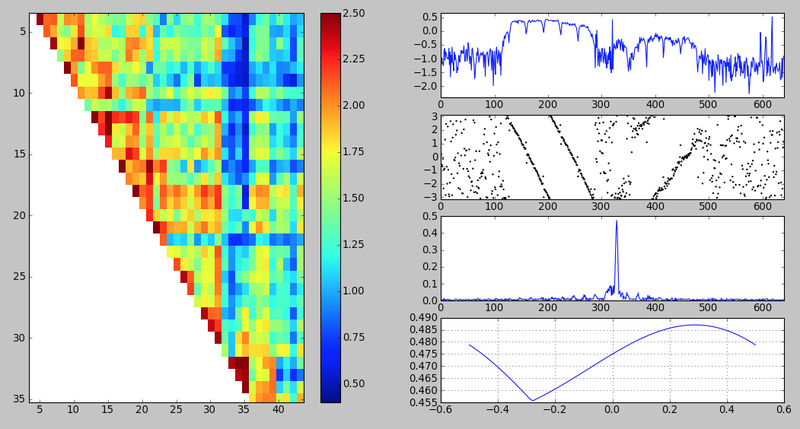 We did the deconvolution using a combination of CLEAN with the short baselines excluded to model and subtract point sources, and MAXEN to deal with the extended structure. We weighted the visibilities to optimise the dynamic range, which (given the 25 mJy artefacts and the maximum flux density per beam of 320 mJy) comes to 12.8. The artefacts are dominated by the effects of the extended structure. Credit: Vikram Ravi, Chris Flynn, Matthew Bailes.